Rent Beaulieu Garden | Corporate Events | Wedding Locations, Event Spaces and Party Venues. 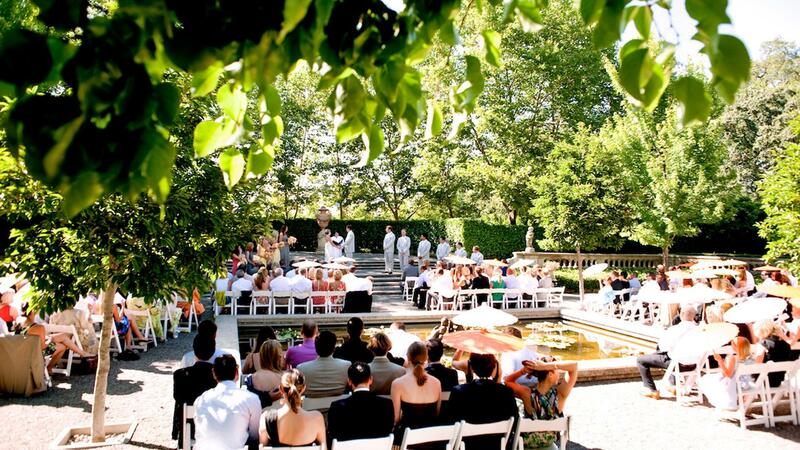 Beaulieu Gardens is an absolutely stunning outdoor wedding venue with manicured gardens and an other-worldly property that makes it the perfect canvas for a beautiful wedding in Napa. This exclusive venue is managed by Paula LeDuc Fine Catering and is a stunning event site with formal gardens that reflect the European influence of the de Latour family. Old stone fountains, reflecting pools and elegant statues are tucked throughout the park-like gardens. Just beyond the original stone winery is a beautiful thick sycamore arbor which is the perfect setting for al fresco dinners. it is intimate and private and perfect for romantic weddings or corporate gatherings.